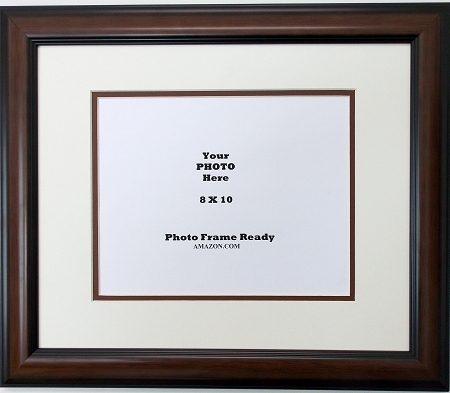 Certificate diploma frame overall size 15x20 holds a 8x10 photo or diploma. Double mat with creme top mat, brown bottom mat with 1/4 inch revel. 1-1/2 inch boarder mat in a cherry mahogany wood frame with black accents. Frame unit includes glass front, mount board and wall hanging system for both vertical or horizontal.